This whimsical and versatile set will add a splash of color and fun to your classroom creations all through the school year! It's perfect for class decor, centers, bulletin boards and printables! The two sets will cover the whole school year. Each image is a high quality png file created at 300 dpi to ensure vibrant colors and crisp edges even when enlarged. They are trimmed closely so that layering of several images can be done easily. I hope you find this set useful! I genuinely appreciate your feedback! 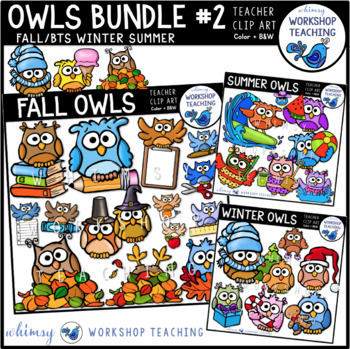 You can see ALL clip art and early literacy sets organized in one place by clicking Whimsy Workshop Teaching -- simply choose between the Teacher Graphics or Early Literacy tabs at the top of the page! Be sure to follow Whimsy Workshop on Facebook! to be notified of new products and reduced prices. To receive email notifications from TPT about temporary discounts on my new product listings, just click the “FOLLOW” button at the top of THIS PAGE (near the green star). You can receive exclusive free content in my newsletters - and receive an instant gift! It's a Giant Never-ending Sight Words Game Board! Your first email will also contain access to a huge FREE resource library of literacy, math, STEM, art and clip art resources! Emails will arrive about 3 times per month. Just Click HERE to see the instant download! Literacy or Math Products and Freebies are limited to single classroom use only. Clip Art products: For educational use; all products must be secured in a pdf file or flattened within in SMARTboard format. Personal Classroom Use: You can use these images in your own classroom for lessons, printables, decor, or other projects that are not distributed or sold. 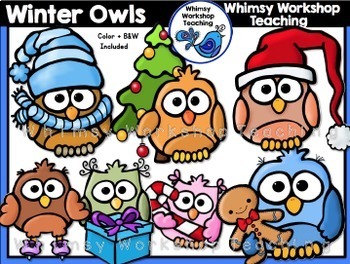 Commercial Use: You can use the images in products for sale or freebies on teacher sites with a link to Whimsy Workshop Teaching (either text link or clickable logo) in your credits page. 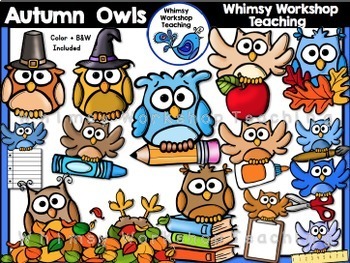 Please visit Whimsy Workshop Teaching.com to see a complete TOU.